Relocating to a new house is stressful enough without having to worry about the logistics of an entire move. So when it comes to the heavy-lifting (literally), leave it to the professionals — professional movers, that is. Experienced Pataskala, OH moving companies consist of expert movers and packers who can efficiently pack, move and assemble your Pataskala belongings to ensure that you get off to a good start in your new home! 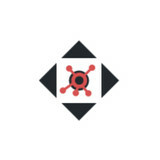 "Taking a move to Columbus?Our movers in Columbus Ohio have got you covered! Hire Zippy Shell Greater Columbus to take care of every aspect of your move! 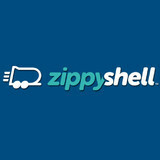 Zippy Shell Greater Columbus is a moving company dedicated to satisfying all your needs. With our moving services and best storage solutions, you can relax and start planning all the fun things you want to do once you arrive in Columbus. Our network of satisfied clients is growing every day because we are always investing in our moving and storage services. Our movers in Columbus Ohio are knowledgeable about packing, moving and storing your belongings. 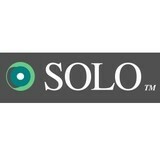 Give us a call to schedule your affordable and successful move in Columbus, Ohio. " Relocation Database – Top information for your safe relocation Safety comes first- it’s one of guiding slogans in Relocation Database. It’s also probably one of the most important things when moving anywhere. Being that there are so many moving scams, the first thing you need to secure is to move safely. Also, on our blog, you may find tips and suggestions how to improve and speed-up your moving process. Furthermore, Relocation Database gives you the opportunity to revise your decision about where you should move, and also how to prepare for that step. Knowing that relocation is one of the most stressful activities in your life, don’t lose temper during your migration. Visit Relocation database website and discover how to move from one place to another with almost no stress at all! 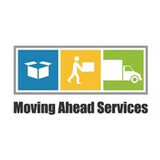 Moving Ahead Services specializes in local and long distance moves for your residential or commercial property. With several locations across Ohio and Pennsylvania, we handle all your moving needs. "Wailea Movers Inc Hawaii – one of the best moving companies in Hawaii Looking for a professional mover that can help you relocate with a smile on your face? You are in the right place! Wailea Movers is one of the best moving companies in Hawaii, and for a good reason. We offer our clients a variety of services and options to choose from, and all you should do is to give us a call. We will help you with everything else! "